CZ 75B, 85B, SP-01, SHADOW, SHADOW 2 9MM Luger - 16 round steel base plate Mec-Gar magazine. Customers have also told me that these magazines are great in the Rock Island Map MS 9mm and Bul LTD. Cherokee pistol and the Jericho 941 Baby Eagle. Some have said it's compatible in the SAR B6 Hawk (all steel). However some say it won't lock into the magwell unless the magazine catch notch on the magazine tube is modified (the lower notch might have to be raised to the same hight as higher side. The post 2005 production Bul Cheorokee (polymer framed with the rail) uses the EAA Witness small frame 17 round 9mm magazines. The Mec-Gar CZ 75B 16 round magazines are not compatible in the EAA SAR B6P or EAA SAR K2 9mm with out a slight modification of the magazine catch. The Mec-Gar CZ 75B 17 and 19 round magazines are compatible in the EAA SAR BP6 and EAA SAR K2P 9mm. Customers have told me that the these magazines are compatible in the early Tanfoglio TA90, at least the ones prior to 1988. The magazines aren't compatible in the pre B CZ 75. I have the CZ 75 Pre-B 16 round factory magazine if you need those. They also don't work in the CZ Custom SP-01 pistols with the magwell, the magazines tube is too short. 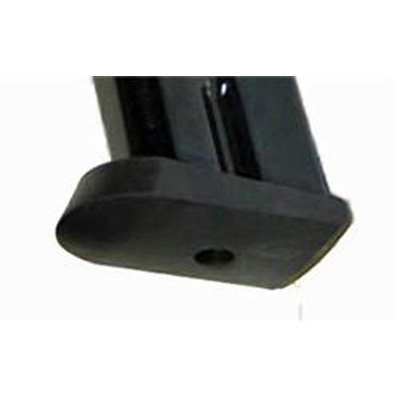 CZ 75, CZ 85 FACTORY RUBBER MAG BASE PAD 273199000850. THESE ARE REPLACEMENT RUBBER BASE PAD FOR CZ 75/85 MAGAZINES WITH THE METAL BASE PLATE. THEY FITS FULL SIZE AND COMPACTS FULL CAPACITY MAGAZINES.